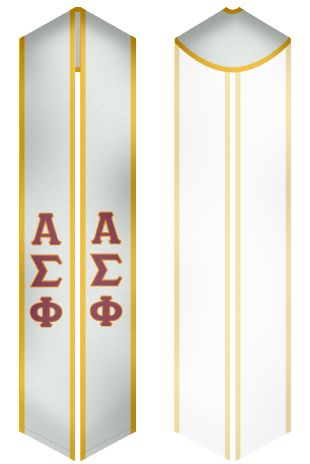 Custom Sash Get the best stoles and sashes for Alpha Sigma Phi and brighten up your special day. Founded at Yale in 1845, Alpha Sigma Phi is the tenth oldest fraternity in the United States. With over 89 chapters and several famous alumni such as Ratan Tata and Warren Buffet. With a rich history that links it up to the most secret of societies such as Skull and Bones and Scroll and Key, being part of this exclusive fraternity is something to be really proud of. 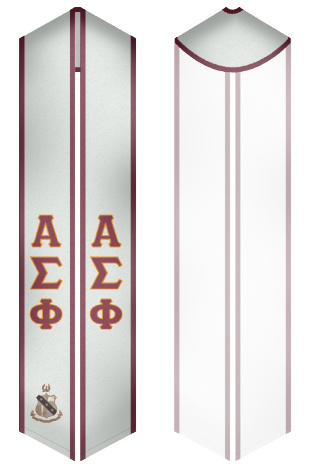 Celebrate your graduation with our stoles and sashes. You can order a custom design so that you may stand out. 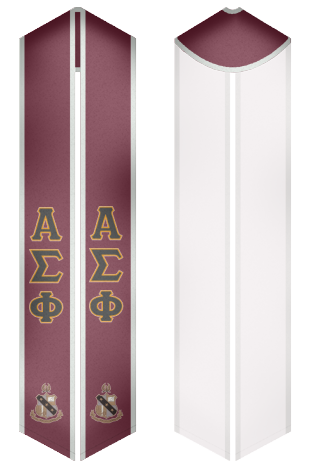 Make this graduation of yours the most memorable moment of your life and show to the world that you belong to Alpha Sigma Phi.